March Madness is over - On to the finals now! After six qualifiers and thousands of games, 24 heroes have emerged! They will participate in the final leg of the amazing ICC Open, on April 22nd and 23rd! The 8 seeded players will be announced in the next few days! The six qualifiers had over a thousand players, from top GMs to beginners, and all of them felt the thrill of being a part of such a prestigious event! 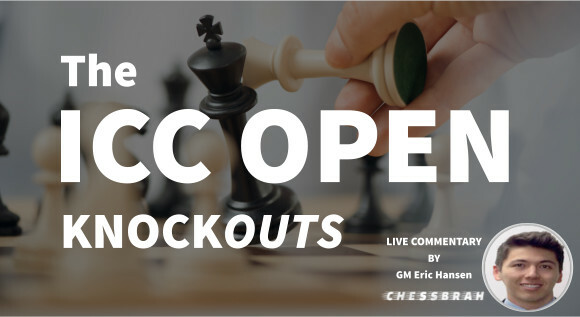 The KO tournament to decide the fab four and the final phase (semis and finals) will have LIVE commentary on ICCTV, with GM Eric Hansen! The KO tournament to decide the fab fours and the final phase (semis and finals) will have LIVE commentary on ICCTV, with GM Eric Hansen!